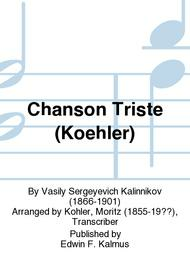 Composed by Vasily Sergeyevich Kalinnikov (1866-1901). 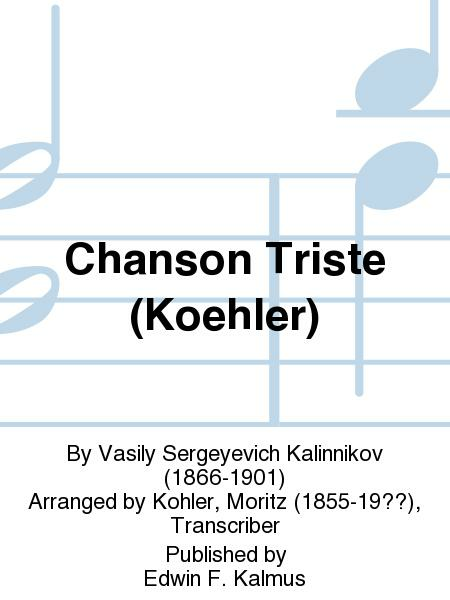 Arranged by Kohler, Moritz (1855-19?? ), Transcriber. Russian: Romantic. Set of parts. Composed 1893. Duration 2 minutes. Published by Edwin F. Kalmus (KM.A4237-STP).